I stopped by Sally Beauty Supply today and finally picked up a bottle of Seche Vite top coat and base coat. They are currently buy one get one free. I have read countless blog posts about how amazing this combo is but I was waiting on a good promotion so that I could finally get them at a good price. 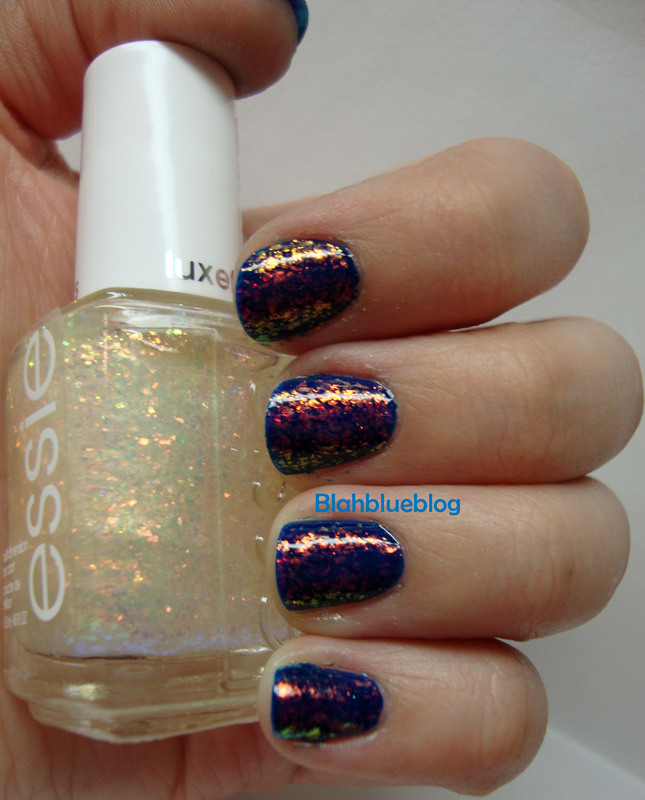 Shine of the Times is from the Essie’s Luxeffects Collection released at the end of 2011 and The Luxeffects Collection is available now at certain CVS drugstores, but there were only a few left at my local store and it is no longer available on Essie’s web page because it is currently sold out. So if you love it as much as I do don’t walk, run to a store in your area that carries Essie. 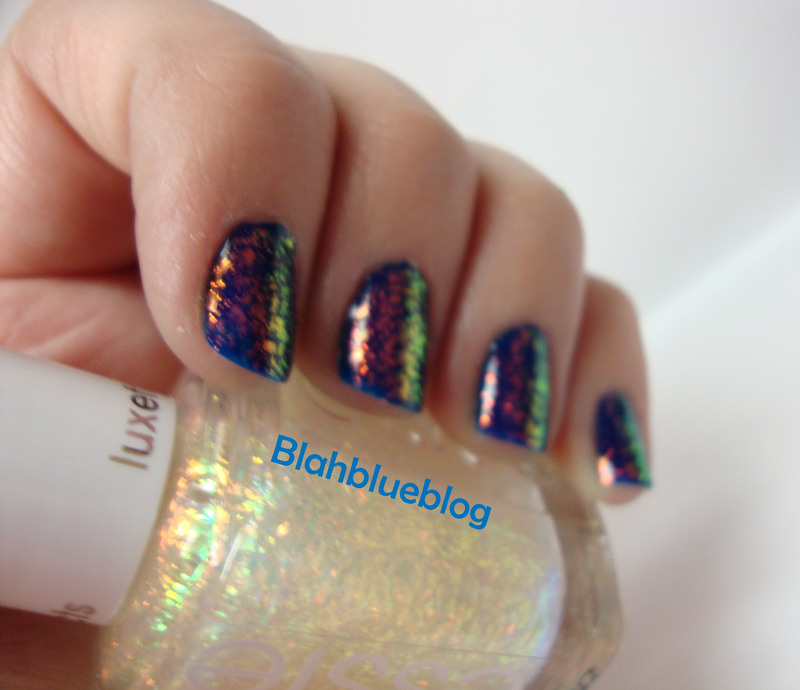 Shine of the Times flashes between red, orange, gold, and green in a beautiful rainbow flakie effect. I layered one coat of Shine of the Times over two coats of a nameless dark blue jelly from Urban Outfitters, and dare I say it looks like Cult Nails Unicorn Puke…. of course I do not have Unicorn Puke to compare it to, but from what I see online this may satisfy my craving for the now unavailable Cult Nails beauty (you can google an image of Unicorn Puke or look at my other flakie review to see a picture of the bottle). The flakies are varied in size and it is more densely packed than my only other flakie (Finger Paints Motley reviewed here) allowing for close to full coverage over a dark polish. 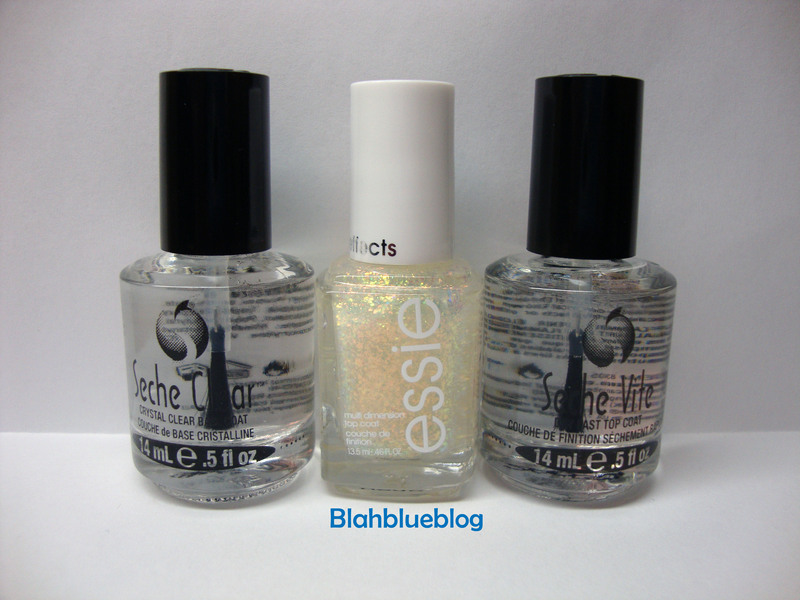 The formula is easy to apply and dries quickly, especially after using my new Seche Vite which seems so amazing compared to other tops coats I have used in the past. My second photo of Shine of the Times is is less direct lighting and you can see more of the dark base color. Within my collection I would have to say Shine of the Times is easily the most interesting nail polish. I would highly recommend picking up a bottle. 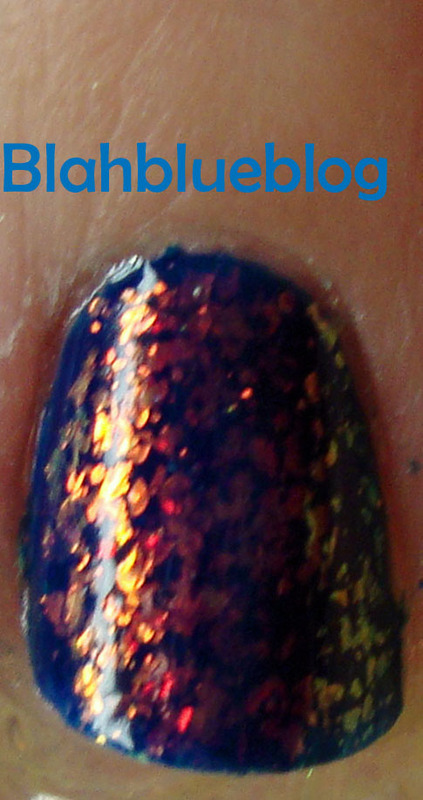 Here is a close up below showing the amazing color morphing characteristics of this unique top coat.